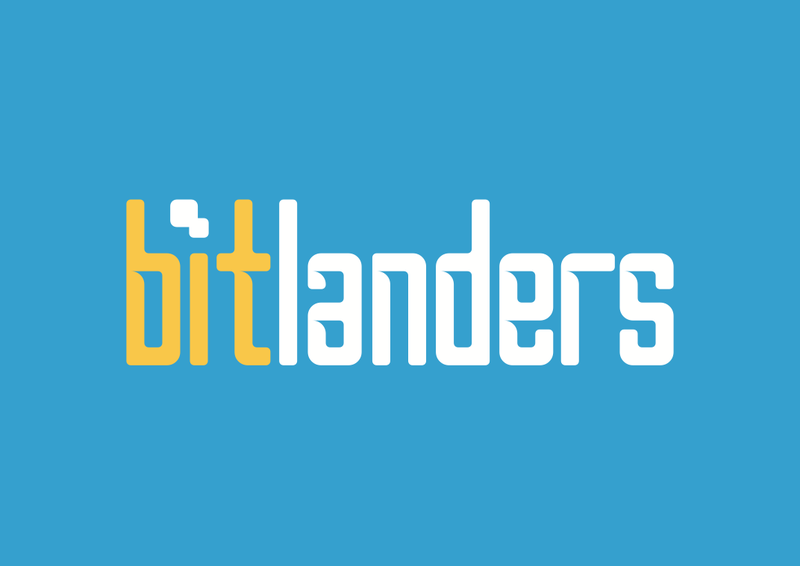 Bitlanders is a Socila interaction websites in which the User is facilitated by posting the content in different four categories ( movies,Blog,MicroBlog,and Gallery) and other users like the posting in respective categories and make comments and so on. When it comes to earning Bitcoin,I can say that the best eaning bitcoin site is bitlanders which is supporting bitcoins.Where the bitcoin can be earned in a game playing manner.Bitcoins can be exchanged in our own currencies within no time, there are no hidden charges and the Payment system is also very fast. 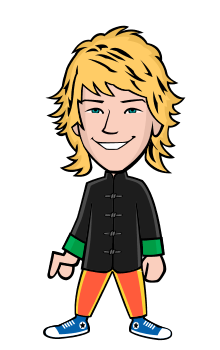 We can earn bitcoins by completing our daily activites like completing the tasks by doing the daily tasks and making quests and not last but the least by submitting a content for review which receives a heavy reward and boost in the earnings as well.Each time when we complete the task we get a reward of it but we don't know what it takes actually. 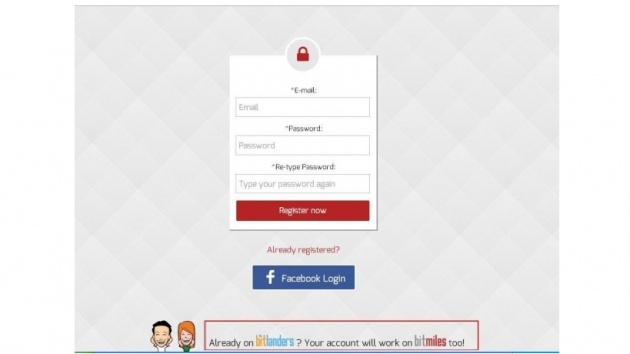 Basically,Bilmiles is the managed by the same people from bitlanders and it is the best site so far amongst the social era of websites which is paying us being social around the Glob.Basically its a marketing brand which is used for by different users to market the brands and also increases the User's ability while accomplishing the tasks and it user oriented.It is also supporting the users and ehancing the ability related to marketing the brand and letting people know and familiar about the brand.Bitmiles is completing the need of marketing the brand now a days. 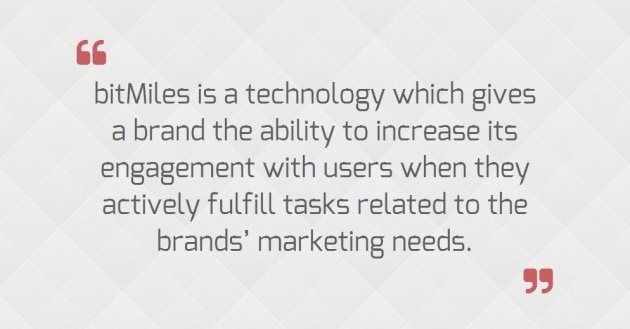 Basically,Bitmiles is like a platform for those who owns the site.Visitors of the site improve the site revenue,sales and much more related to this.If your are having a site there is no there way of promotion the site and letting the other know about the brand because this is the unique way of market the brand. The reward system that we all familiar about in bitlander that each time we do the task we rewarded and our chosen charities gets the micro donation is all because of Bitmiles.So bitlanders is more secure even in this payment system to make it more secure when joining hands with bitlanders in order to generate more profit and stability. 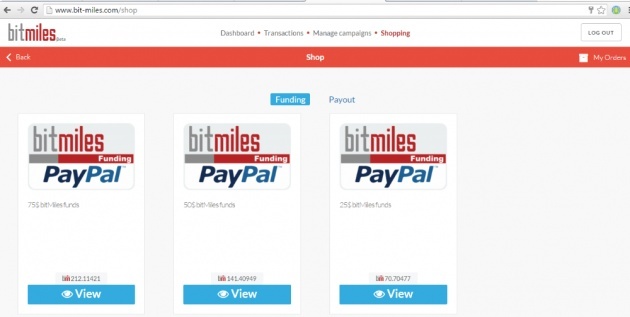 so it is clearly open that bitmiles is supporting and promotional website that is promoting the brand like bitlanders and engage in the management and owned by the same members in the association.It is also giving reward in bitcoins by completing the certain tasks in this way its easy for the user to collect the reward in more secure way. First in order to enter the amazing website you have to make an account if you are a user of bitlanders you don't have to make a new account just enter the user name and password that you use to log in to bitlanders.It is a kind of facility by the bitlanders to its users to use the auto account.There is the relevant particular address of the website shown below in which the user if the member it is easy for him/her to enter by just putting the username and password. This is not a big issue, while managing the account first create the account and thereafter you log in the account following things must show first in the screen related the account once logging in. Dashboard is showing the total amount of the user which is also involving the balance of bitlanders.The basic purpose of showing the full balance of bitlanders here in bitmiles account is giving the benefit to Bitlanders User which can we use the bitlanders balance to start an add campaign to promote the site on bitmiles.Basically the Bitmiles platform is used to promote the site and the brand you have so as the user of Bitlanders we are promoting it and for that reason is shown in the Dashboard. All tasks are done visible straight away shown in the Dashboard.Here you will see all the websites you visited while visiting the different pages in bitlanders and how much the reward you have earned last time you visited them. By clicking on the button new app there opens a new window in which we insert the name of the brand that we want to promote while using Bitmiles.By inserting the Image of the site and adding a banner in bitmiles and engaging to get know how about the site safely and fastly.All you have to do is to fill up all the information which is important for the site to promote and sit back. Transaction is the next tab in the Dashboard which is containing information about the history of all the transactions sale and purchase of the items related to avatar in Bitlanders and the different moments in bitlanders related to bitfashinta, bitcharities and bitgoodies.This only way of keep connected the website to each other and also the opportunity for its users to promote these balances for the site.Every transaction can be seen and monitored in this tab.The balance which is in positive showing is the addition in the reward and the negative is showing the deduction from the real balance or it can be withdrawals or purchase of ant item. 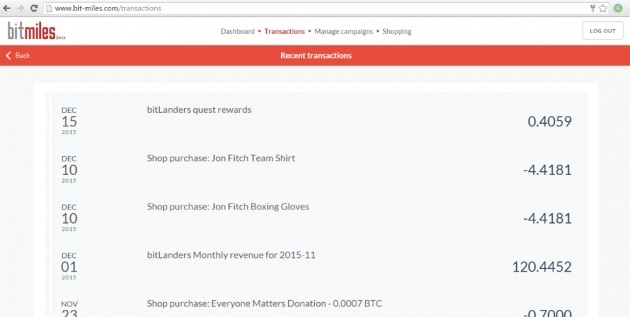 Last tab shown in the dashboard is sown shopping in which the user can add fund to manage the campaigns relevant to user which he wants to promote and the user can fund his account via Paypal.In shopping we can also withdrawal our balance via Paypal which we earned by completing our tasks in bitlanders. The balance can be withdrawal at any time from the bitmiles and it is withdrawal via paypal as shown in the image below.